Camilla de Maffei will start a course for fellow senior photographers at CENTRO, a design/ film / television institution that specializes in creative studies that strike a careful balance between theory and praxis, talent and discipline, and risk and certainty, with interdisciplinary and enterprising focus. 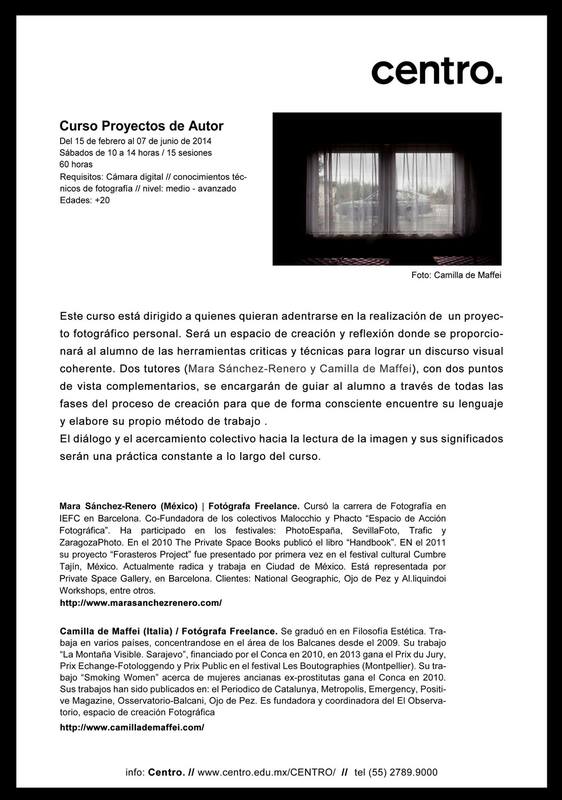 The “Auteur Project Course” is aimed at those who want to venture into the realization of a personal project with international impact. It’ll be imparted on Saturdays from next February 15th to June 7th.